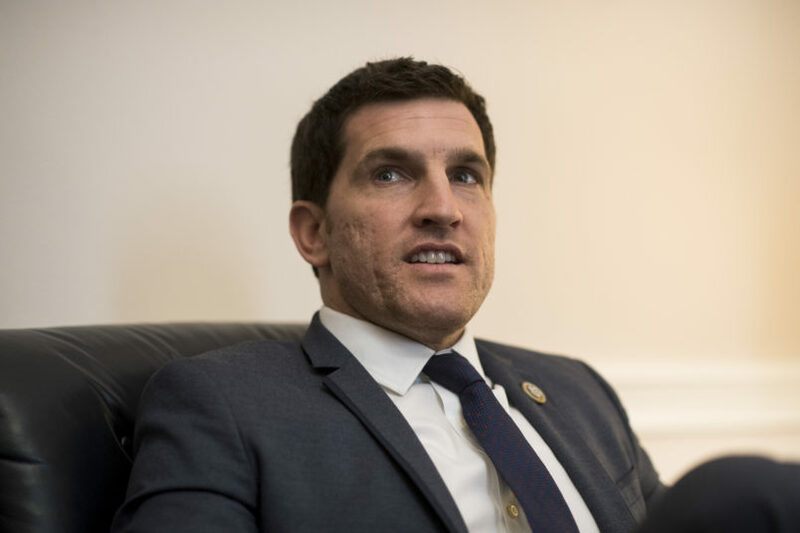 Rep. Scott Taylor (R-VA), a well-known Republican congressman and former Navy SEAL, personally called a constituent who had accused his reelection campaign of forging voters’ signatures and pressured her to withdraw the accusation, four people with knowledge of the call described to TPM. It was an unusually personal intervention from a congressman whose campaign staffers have since been accused of 59 signature forgeries and counting, according to a recent Virginian-Pilot tally, including from the families of four dead voters whose signatures nonetheless appear on petition sheets collected by Taylor’s staffers. Despite the congressman’s call on Aug. 3, Lindsey Terry, the technology chairwoman for the Virginia Beach Democratic Committee, knew before anyone else that something very fishy was going on. Eileen Eady, Terry’s friend and former neighbor, had left her Virginia Beach rental and to moved Las Vegas years ago. She even ran an unsuccessful campaign this year for Clark County School Board of Trustees. “I know she moved,” Terry told TPM on the phone recently. And yet, Eady’s purported signature and outdated Virginia address appeared on a petition sheet collected in June by a Taylor campaign staffer, Heather Guillot, to get an independent candidate, Shaun Brown, on the congressional ballot. Several other Taylor staffers have since been accused of collecting fraudulent signatures on Brown’s behalf. The congressman has consistently claimed ignorance of any improprieties that occurred, though he’s acknowledged that he knew his staffers were collecting signatures for Brown. Taylor’s campaign did not respond to multiple requests for comment from TPM. The apparent aim of the forged signatures was to split the Democratic vote in two by getting Brown, the Democrats’ 2016 nominee, on the ballot as an independent next to Elaine Luria, the Democrats’ 2018 nominee. The Virginia Democratic Party has sued the state’s top election officials to get Brown off the ballot; Brown has fought back. There’s a hearing scheduled for Wednesday. A state judge also assigned a special prosecutor to look into potential criminal violations. After recognizing her old neighbor’s impossible signature on petition sheets published two days earlier by WHRO, Terry appears to have been the very first person to publicly accuse Taylor’s campaign of a forgery scheme. “.Scotttaylorva your PAID staff Heather Guillot was forging signatures for Independent Shaun Brown,” she wrote on Twitter, above photos of the allegedly forged signature and Eady’s drivers license. Terry posted the same message to her Facebook page, at first tagging Guillot’s account directly. It wasn’t long until Terry heard from her congressman. “He even told me he had somebody drive past Eileen’s old house, drive past my house, to verify that I was who I said I was,” Terry said. “‘I do know that you were [Eady’s] neighbor; we had somebody drive by,’” she recalled Taylor saying. Virginia Beach Democratic Committee Chairwoman Carla Hesseltine told TPM Terry is a “tough woman, but she was scared” by the call. “I think it was extraordinary for a U.S. congressman to call a constituent and insinuate that she could be sued,” Loesberg said. After her call and texts with Taylor, Terry, as agreed with the congressman, edited out the direct accusation of forgery against Guillot on her Facebook page. She deleted the tweet, which couldn’t be edited. TPM couldn’t reach Taylor for comment. His spokesperson, Scott Weldon, didn’t respond to TPM’s emailed questions, nor did an email address for Taylor’s campaign. But Taylor has acknowledged calling Terry, and he did appear to accuse her publicly of defaming Guillot. “An Eileen Eady voted in person in 2016 in VA, via database. Onerous [sic] is on VA [State Board of Elections] to verify all signatures. Clearly not a signature forged by Heather (not even close to the same writing) but clearly defamation of a private citizen,” he wrote on Twitter, quoting Terry’s initial Aug. 3 tweet alleging forged signatures. Eady brought up the tweet to TPM. “He’s actually never spoken to me” about his voter fraud claim, she said. Actually, it was taken down after we spoke out of respect for you. Taylor has said he fired an unnamed campaign consultant over the signature scandal, and that the scandal reinforced his earlier decision to fire his unnamed campaign manager “for separate issues.” One of the staffers accused of forging a dozen signatures and counting, though, is hosting an event for Taylor on Wednesday night. For her part, Terry doesn’t seem to have been fazed by the Taylor’s call on Aug. 3. Four days later, the Virginian-Pilot published a brief letter to the editor she’d written. “U.S. Rep. Scott Taylor’s staff has potentially compromised our election,” it began.